So much yarn, so little time. 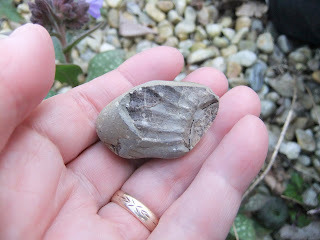 : Fossil find! 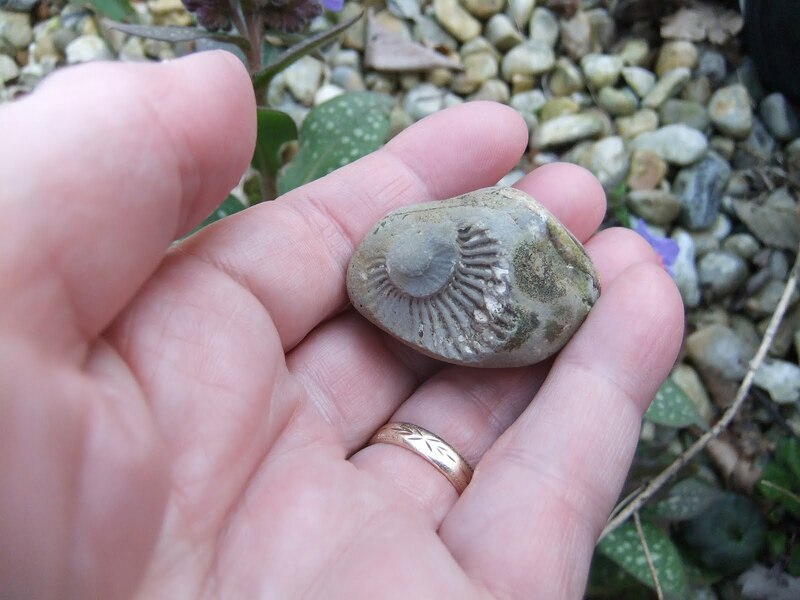 I've looked for fossils on the beach so many times over the years, never found a single one. Today I found one in the garden! Maybe I'll be more inclined to weed amongst our pebbles in future. Come and stay with us for a few days and I will take you for some hill walks if you would like to have some more. Our area is full of them. So is our attic. Seeing as I'm working in the attic trying to clear it ready to move maybe I'd better not! That's a real beauty! The best ones always turn up when you're not really looking.